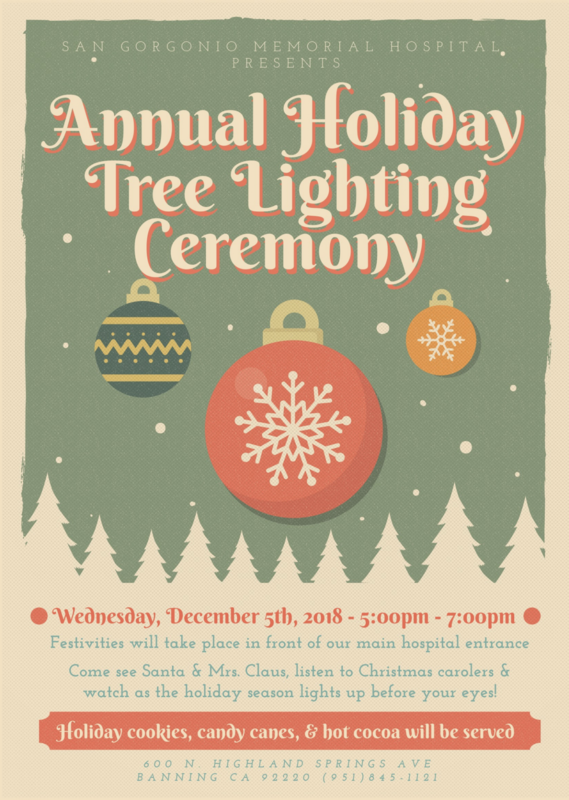 San Gorgonio Memorial Hospital invites you to our Annual Holiday Tree Lighting Ceremony. Festivities will take place in front of our main hospital entrance. Come see Santa & Mrs. Claus, listen to Christmas carolers & watch as the holiday season lights up before your eyes! Holiday cookies, candy canes, & hot cocoa will be served!